As they say in the fashion world, one day you're in and the next you're out. 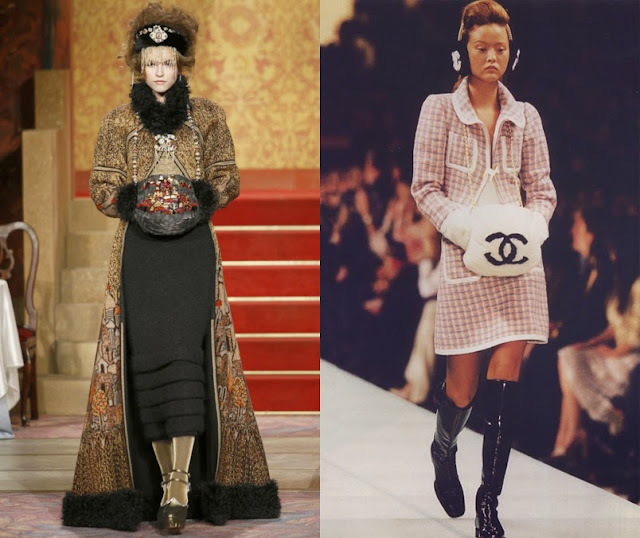 While everybody's on the hype about what's in and what's new, here I am trying to dig up the items that made a mark in the history of fashion. Sometimes the fashion of today gets so overrated and I get bored seeing the same outfits so-called "fashion bloggers" post every single day that I decided to scour the net for a few forgotten fashion terms. 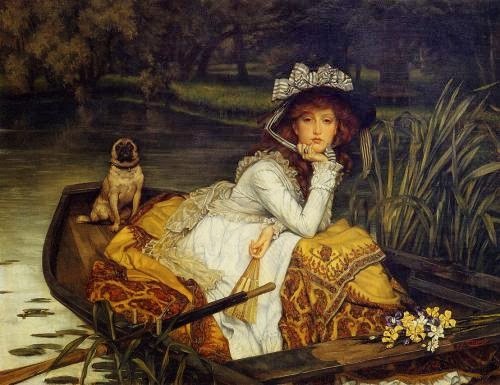 It's one thing to appreciate a Victorian painting and another to identify the items they are wearing. It took our ancestral creatives two thousand and thirteen years of never-ending, out-of-the-box trends that are sure to satisfy your curiosity on how the latest It items came to be. If you dream of becoming a fashion nazi someday, you better brush up on your fashion history. CAT - a slang word for flapper in the early 1920s, meaning "a cool person" or "a trendy person". PAJAMA - from the Hindi term pajama, means loose trousers tied at the waist. The Cat's Pajamas is a term that should be given more credit over its slang definition and the bedtime comfort it gives. It is an outfit that celebrated women's independence from conformity and gender stereotype. 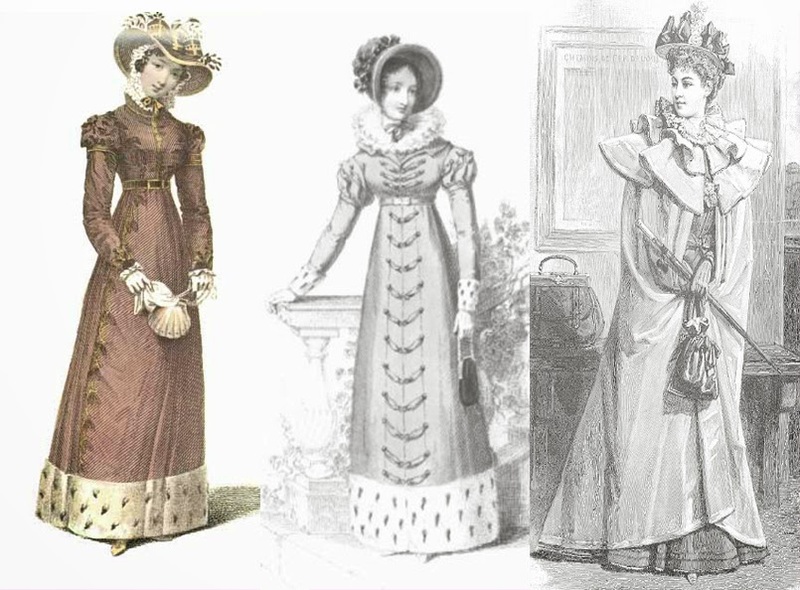 Before the 20th Century, women were obliged to put on impossibly long and heavily layered clothing, not to mention suffocating on corsets and occasionally tripping on their garments. 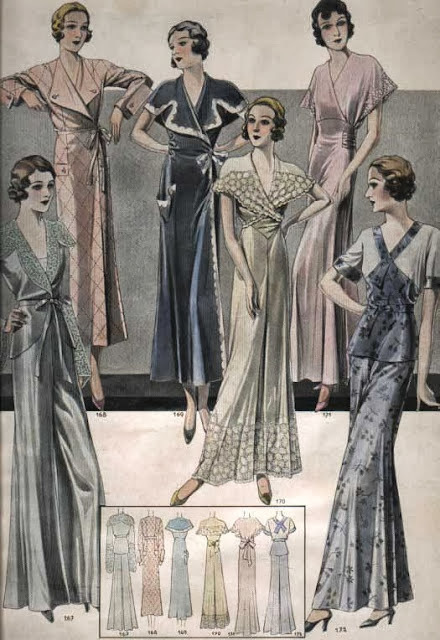 Thanks to the 1920 Women's Suffrage Movement, which allowed women to vote, women started having this radical view about femininity that in turn created a ripple in women's fashion. It soon became all about comfort, style and representation. 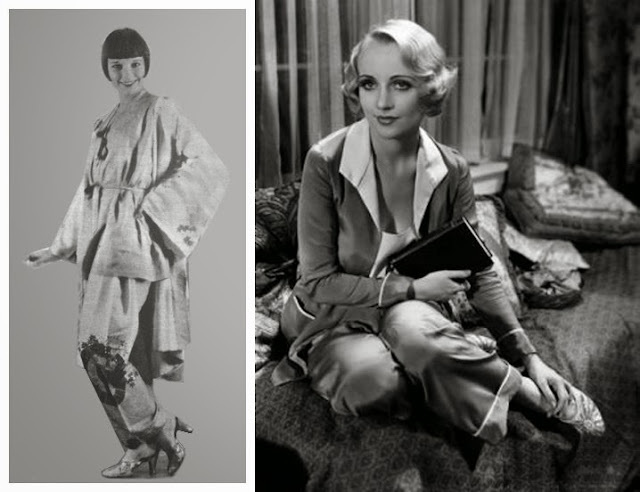 The Cat's Pajamas was coined in the late 1920's when women started wearing pajamas in various styles outside the bedroom and into parties and social events. This outfit defined the 20th century's androgynous style because it made the women feel more masculine in relevance with the gender equality they crave for. And guess who created this revolution? Who else but Coco Chanel. Jabot - from the French term jabôt which means a bird's crop, it means a softer more feminine approach to the male cravat. This trend was popularized by Sir Darth Jabot after the French revolution circa 1800. The Jabot is all about lacey frills along the sternum resembling that of a bird's crop. It seeks to be the attention grabber in an outfit but practically it was designed to hide the opening button or shirt fastener of a dress. It may be closely related with the cravat, the ones we see worn by old century judges. However, while cravats soon evolved as neckties since the men started becoming less flamboyant with their outfit, the jabot has managed to be incorporated in the modern designs we see today. Why I included this term as one of the forgotten? I haven't heard anybody talk about it. 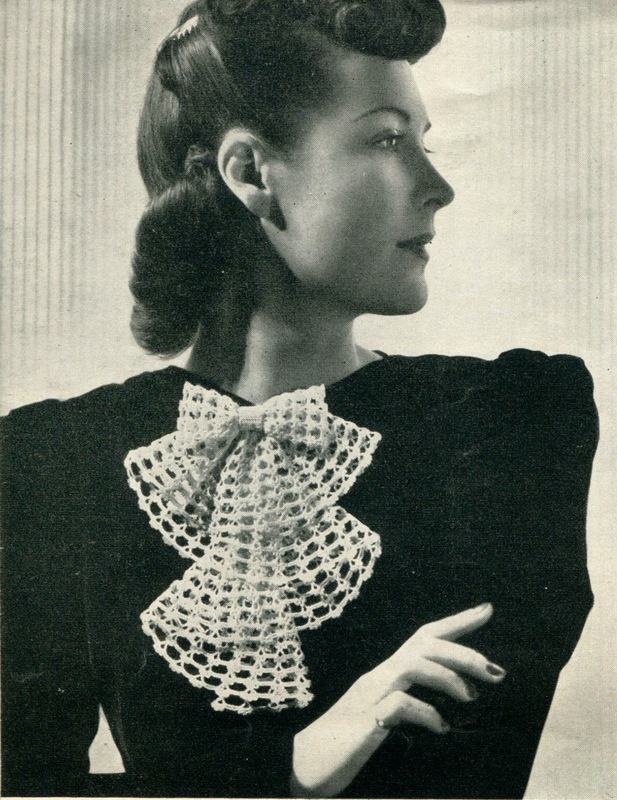 All people say are ruffles so basically only a few people know that the ruffles people wear as neck accessories is actually called a jabot. Valentino and Jill Braun incorporating the jabot on their iconic pieces. 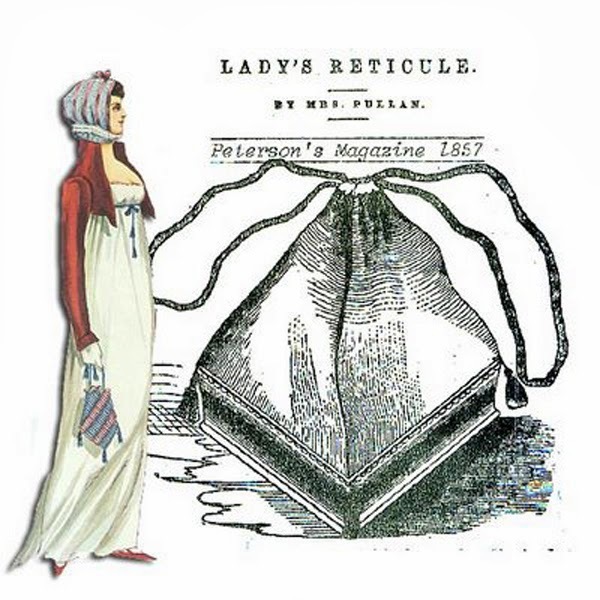 Another post French revolution trend, the Reticule purse is something every woman had. It contained a few female essentials like a comb, a handkerchief, a perfume bottle, a coin purse and a photo of someone special. Granted that women of that era are wearing a lot of stuff, a small purse is really important in order to not add to their already heavy outfit while at the same time serving the purpose of encasing their personal things. Seriously, I couldn't imagine them wearing all of THAT with a huge bag that women of the 21st century love wearing. The reticule purse was adorned with a lot of appliques including eye-popping bead work and embroidery, lace, ribbons, pompoms, and basically whatever material anybody would like to put on the exterior of the bag. It's made in various shapes like round, square, pentagon and in different colors, which makes it one of the most customizable accessories of the 18th century. Animal rights activists probably know a lot about this as this is included in the long history of animals being worn as accessories by humans. The Zibellino, also called Flea fur or Fur tippet, is basically draped on the neck, hand held or dangling at the waist. It was created by Sir Charles the Bold, Duke of Burgundy by the year 1467 for the purpose of trapping fleas that may infest the rest of the worn garment. Aside from trapping annoying fleas, it also symbolizes a high social status among the women who wear them. Women started adorning these creatures with gold and jewelry to further emphasize their class in society that at one point, the government of Italy issued a decree banning the use of zibellini. So much about worshiping fur beyond its intended purposes, it's safe to say that fur has and never will be out of style. Known as the hand warmer, Muff is an ancestor to our modern gloves, created to warm the hands of freezing women during the 16th century. 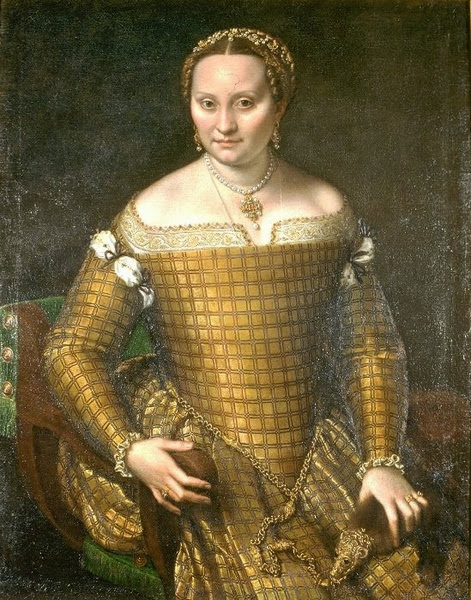 This use of fur, unlike the zibellino, really served its purpose and was viewed as fashionable no matter the social class of whoever is wearing them. The only difference is, the fur is no longer limited to the martens species. Muffs were made from the furs of different animals and were probably sold by its thickness or how hard it was to catch the animal it was made of. 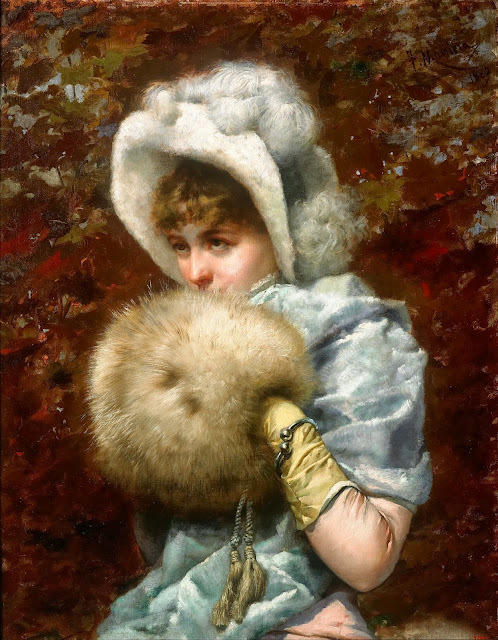 The muff was a practical winter accessory although it may limit the arm movement of whoever is wearing them. How do you scratch your back and still keep your hands warm, right? I guess this is what people realized before they invented gloves. Watch out for the next wave of forgotten fashion terms.